Can I Get My Elite Miles Back? Please! I have end-of-year tickets on Delta from GSP (Greenville-Spartanburg, SC) to POS (Port Of Spain, Trinidad and Tobago). The reservation stated and I bought the tickets with the understanding that the flight would award 12,244 MQMs (Medallion-qualifying miles). Delta has pushed back the flight out of POS, which means I will not have enough time to make my connection in JFK, and they want me to rebook and lose about 6,000 miles. What can I do? I have tried calling and writing, but they just try to reschedule me and will not address the 6,000 lost MQMs that I need by the end of year to reach Platinum elite status for next year. From your description, I’m inferring that the schedule change has necessitated a routing change, which in turn will result in your flying 6,000 fewer miles. And that means your trip will not earn sufficient miles to qualify you for Platinum elite perks. You’re understandably annoyed with Delta, for revising its schedule after you’d booked a trip that both got you where you wanted to go and got you the miles you needed to reach Platinum status. 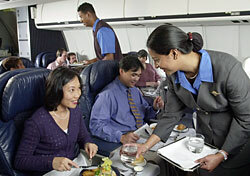 Nevertheless, generally speaking, frequent flyer miles are awarded for flights actually taken. So if you take the trip according to the shorter routing, Delta will be within its rights to credit your account with fewer miles. As is often the case when abiding by rules designed by the airlines with their own best interests in mind—not their customers’—you have no choice but to make the best of a bad situation. In other words, you’ll have to throw yourself on Delta’s mercy and ask that they make an exception and award you the miles for the trip as originally booked and ticketed. If you’re aiming for Platinum status, you are probably already a Silver or Gold elite. While your status doesn’t guarantee a positive response, it should give your request extra weight. It’s also worth mentioning your future travel plans, including the number of Delta flights you anticipate making over the next year and the dollar value of the associated tickets. Money talks. While hoping for the best, past experience with such matters suggests that you should also be preparing for the worst, namely that Delta will refuse your entreaties, no matter how eloquent or persuasive. If I were you, and Platinum status was a compelling consideration, I would be looking for another flight to cost-effectively earn the necessary miles before December 31. As I’m sure you know, flights squeezed in before the end of the year, solely to reach an elite threshold, are called mileage runs. And some years require more mileage-running than others.